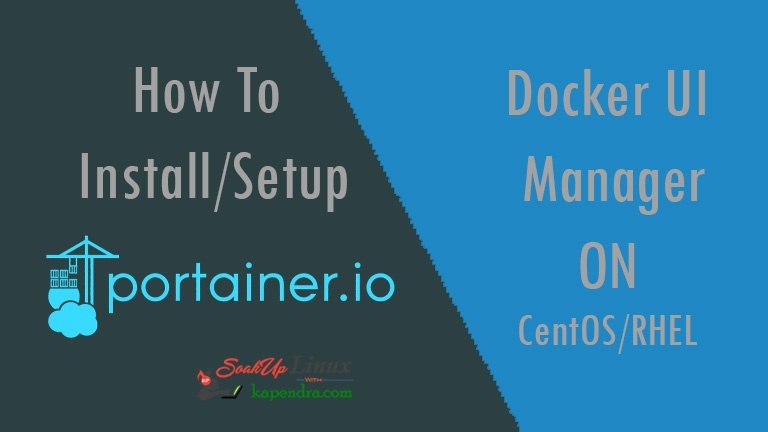 Home Linux CentOs How To Setup/Install Portainer Docker UI Manager? In our previous article learned to setup local repository i.e. docker registry. 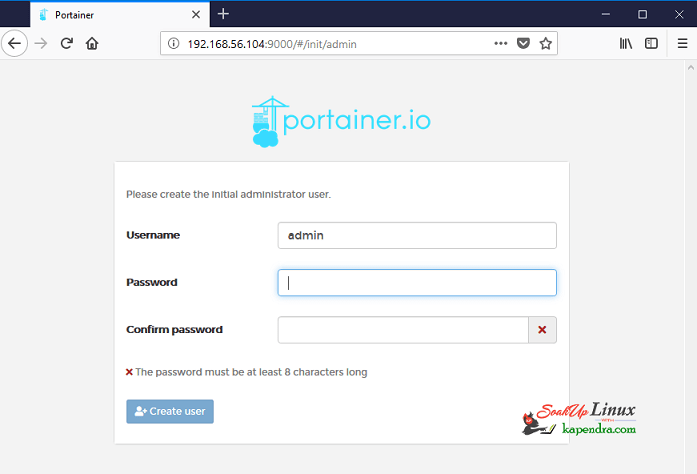 Now if you somehow you are looking for open source GUI tool to manage Docker then the answer is Portainer. It’s an docker management utility which provide a GUI for almost all kind of docker management. It is very lightweight and can manage different Docker environments (Docker hosts or Swarm clusters). For this guide we will deploy Portainer as a Docker container on a Docker engine running on CentOS. Well we have got lots of point to go for Portainer but to deploy Portainer there are some prerequisite. We need a directory on the host machine to persist container data. To do that create a directory that will hold all Portainer data. Note : You can create directory at any choice of your location. Let’s now pull Portainer the image from Docker hub and store it locally on docker host. You’ll be prompted to create an admin user so provide a password, then click create user. 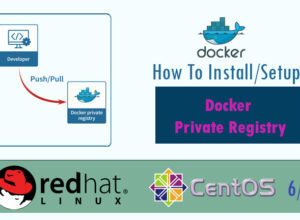 Now create docker environment can be local Docker engine or remote. For this article lets manage local docker engine. Note : if some how you are not getting logged in then restart docker service. This page has default section has a summary of the number of containers, docker version, volumes, networks etc. Well you need time to explore this application and it has lots of tabs and functionality to know. I eventually would suggest you to visit http://192.168.56.104:9000/#/templates . This section helps you to deploy of applications on Docker containers easy by providing several templates ready to use. This bring us to the end of this article. Keep tunes and keep learning. 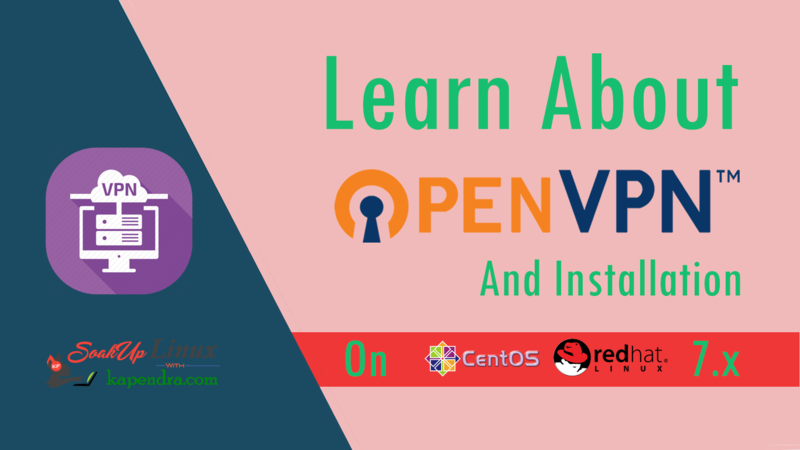 Previous articleHow To Setup Docker Private Registry on CentOS 7/RHEL 7?